Australia’s withdrawal from the 2019 Asia Pacific Rally Championship (APRC) has come as a blow for the fledgling FIA regional series, but there is reason for optimism moving forward. As reported in RallySport Mag last week, the National Capital Rally and the Confederation of Australian Motor Sport have pulled out of the championship for 2019, stating low entry numbers and rising costs. Yet according to APRC Co-ordinator, Murray Brown, there is plenty being done in the background to get the series back to its former glory. “In June 2018 the FIA initiated a review of all the Regional Rally Championships,” Brown told RallySport Mag. “It has been no secret for two or three years that they have all been struggling – not just the APRC. While a long way from its glory days in the 1990s when Subaru, Mitsubishi and Toyota all ran multiple-car factory teams, the APRC still has plenty to offer. The championship’s honour board is littered with famous names: Kenjiro Shinozuka, Rod Millen, Carlos Sainz, Ross Dunkerton, Possum Bourne, Kenneth Eriksson, Karamjit Singh, Cody Crocker, Alister McRae, Chris Atkinson …. the list of winners goes on and on. In more recent times, Skoda, through their involvement with MRF Tyres and Race Torque Engineering, have used the championship to further develop a number of their European stars for WRC competition. 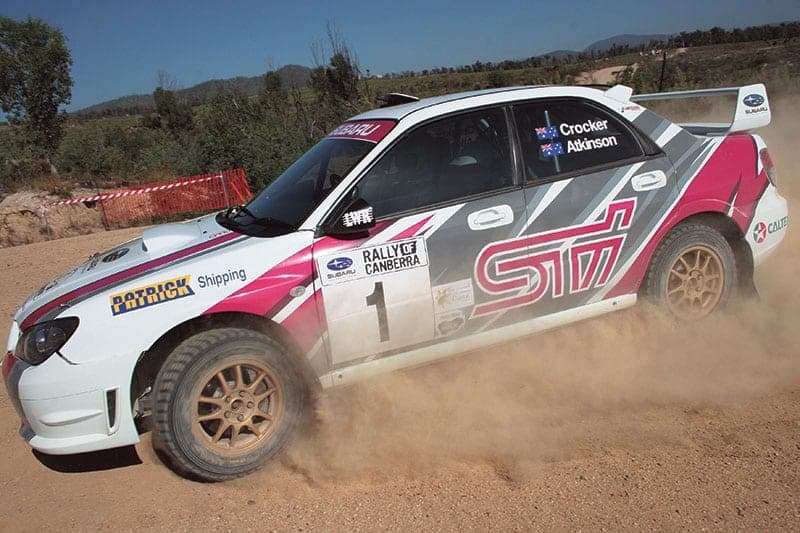 Cody Crocker is a multiple Asia Pacific Rally Champion for Subaru. Drivers such as Jan Kopecky, Pontus Tidemand and Ole Christian Veiby have all spent a season in what is widely regarded as the most challenging and diverse rally championship in the world. Murray Brown says that the APRC is not yet in the critical care unit, but it does need some major surgery to get it back to full health. “As a result of the review, we have had meetings with the FIA, they have visited our rallies, and a plan is starting to emerge,” Brown added. “Nothing has been confirmed yet, but there will be changes to the format and structure of APRC that are currently proposed. “Those changes could also mean that a return to the APRC for an Australian event is well on the cards – even for 2019 if all goes to plan,” he said. We wait with renewed interest that the APRC could be ready to make the slow, steady climb back to prominence as a popular FIA championship. Rallying in both Australia and New Zealand – and, of course across the rest of the Asia Pacific region – is eagerly awaiting the outcome.